We are same day delivery specialists covering both the UK and Europe. Deliveries into Northern and Southern Ireland are a speciality of ours, please contact us if you have any specialist requirements for a discussion of your needs. We also operate regular trunk runs from Northampton to Scotland five nights a week, that means that we can offer very competitive pricing on any next day deliveries that you have into mainland Scotland. That doesn’t mean that we compromise on quality, far from it, it just means that by careful use of our resources we can offer you a better deal whilst at the same time helping to reduce our impact on the environment by minimising the number of road miles travelled. Please call us on 0845 680 9793 if you think we may be able to help you with next day deliveries into Scotland. 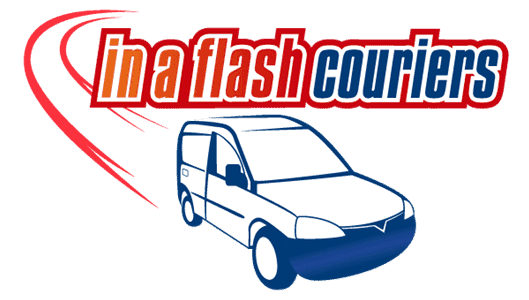 In A Flash Couriers Ltd are competent in many different areas of delivery, please call us on 0845 680 9793 to discuss your requirements. Our Service is simple “We take what’s here, there” for you or sometimes collect what’s there and bring it to you. We don’t use warehousing or delivery hubs, our service is point to point from you to the recipient. We work with companies who need regular supply runs, bringing urgent parts into factories from their suppliers as and when needed in a timely and efficient manner. We can transport your exhibition from your place of work to the site of the exhibition, and deliver it right to your stand. Equally we can collect your items at the end of an exhibition and return them to you at your premises, freeing you and your staff up from this task.